Mophie kicked off this year’s Super Bowl by being the first new company to sign up for a slot on NBC’s coverage of the game. It was a bold choice that got noticed. There had been quite a bit of speculation that advertisers might shy away from the Big Game after the NFL so publicly fumbled their PR this year and became a poster sport for domestic violence. The commercial titled, “All-Powerless” gives another meaning to Mophie’s hashtag: #StayPowerful. Did you catch the ad during the fourth quarter of Super Bowl XLIX? Adding to their boldness, Mophie chose a very unusual and compelling star for their first ever Super Bowl ad. The only Super Bowl ad starring The Almighty. Why did Mophie join the Super Bowl now? Mophie hired the well-seasoned firm, Deutsch LA, to create the commercial. Deutsch has most recently made Super Bowl ads for Volkswagen and Taco Bell and holds big name accounts like Mitsubishi and General Motors. Too bad the Pats won 28/24 before the game went into overtime. So much for the $1 million. 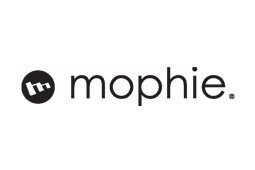 Mophie iPhone 6 cases have been released ahead of the Super Bowl XLXI and are available for pre-order on their site.